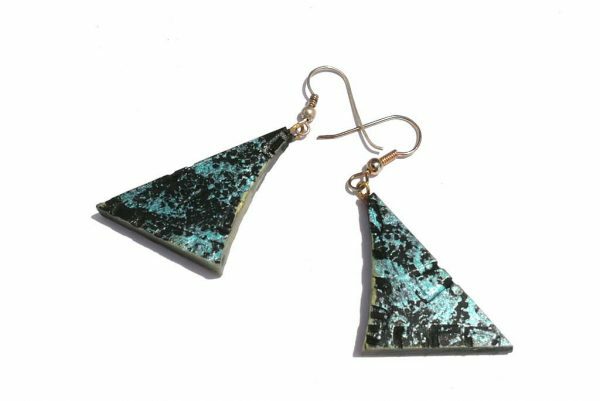 These Blue Black Night Wooden Earrings are a triangular slice of deepest night. 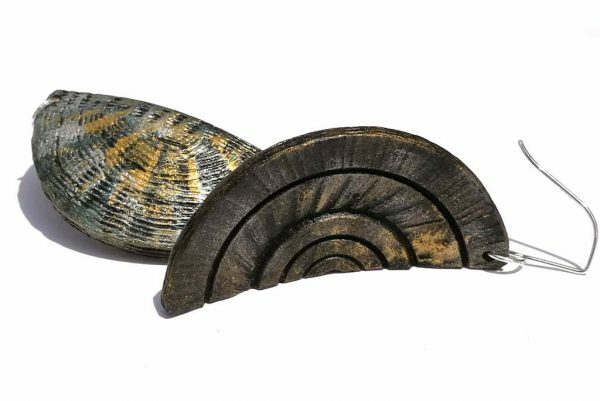 Rich and elegant they are made from lightweight wood and decorated with burnt on designs. Then they are painted, blue with a touch of gold, and covered with a coat of polyurethane. They are 6cm long (2 3/8″) from the top of the ear wire. 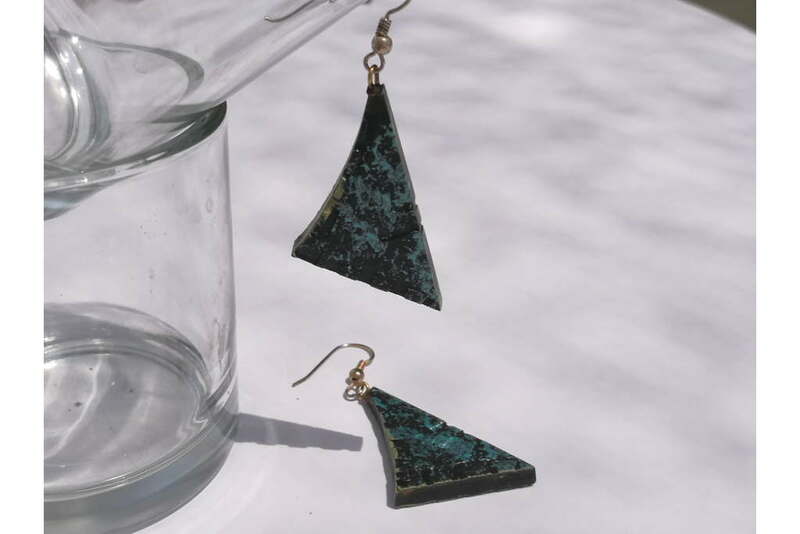 The earring wires are made from coated metal. 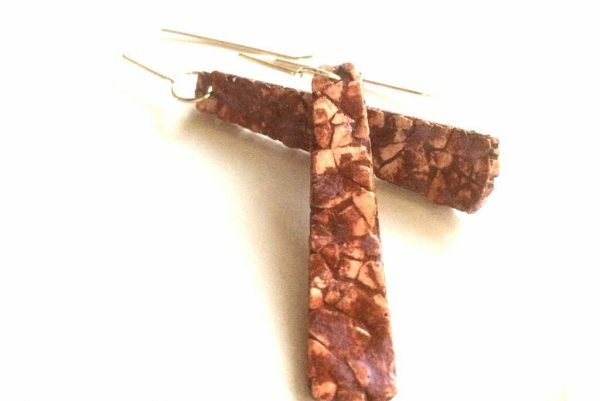 These earrings are for a person who loves textures and color, simple lines yet elegant.